The "fideicomiso" is set up through a Mexican bank for a period of up to 50 years and can be renewed for 50 years. To acquire the land the purchaser must obtain a permit from the Ministry of Foreign Affairs. The buyer can lease, sell or transfer the property to another family member, and if he dies, his property can be passed to an heir. At the end of the 100 years the property can be sold. In the trust there are three elements: The trust Settlor (Fideicomitente) which may be a physical or legal Mexican person, who is the owner of the property which is to be placed in trust; the Trustee (Fiduciario) which, by law may be only a credit institution and which holds the raw real estate; and the Beneficiaries (Fideicomisarios) the legal or physical foreign persons who are the beneficiaries of the trust who obtain the use and benefit of the property. The bank (known as the trustee) holds the trust deed (known as the escritura) for the person or persons purchasing the property (known as the beneficiaries). This property is not part of the bank's assets and cannot be subject to any lien or attachment for any bank obligations. The beneficiary has all ownership rights to the property and may sell, lease, mortgage or pass on to their heirs as desired under law. A bank trust is not a lease. The Mexican government established the trust agreement as a way of protecting foreigners interested in owning property in Mexico. The reasoning was that by making ownership pass through the trust process, there would be an automatic review of the transaction to ensure it was legal and unencumbered. The bank is required to check ownership, insurance and indebtedness of the property, providing further protection to the foreign owner. Trusts are renewable at any time by filling out a simple application with the bank. It was never the intent that these properties pass back to the government at the end of the trust period. This is a common misconception and fear of most buyers. It may help in understanding the Bank Trust to compare it with the Deed of Trust, a type of financing instrument used in the U.S. People who buy homes, paying the full amount upfront, receive their titles right away. However, this rarely happens. Under a deed of trust the buyer of a house has only "equitable title," or an equity interest, with the right to use but only a restricted right to sell, until the loan is paid off, after which the owner receives the actual fee simple title. Until then it is held by a trustee, usually a bank or title company. In Mexico the Bank Trust is also held by a trustee, but the buyer never receives the actual title. Realistically many homeowners in the U.S. never receive title to their properties either, because they sell or refinance their homes before the 30-year term of their loan is complete. Purchasers of Mexican real property can now receive Owner's Policies of Title Insurance that can be issued on both sides of the border from various companies to both U.S. and Mexican buyers. Most title insurance policies today are U.S. contracts of indemnity guaranteeing ownership rights as vested in a fideicomiso (bank trust) for residential property acquired by foreign buyers in the prohibited zone, or for properties held in a Mexican corporation for non-residential purposes (i.e. industrial and commercial). Mexico is not unlike the U.S. in that there is a definitive legal framework for ownership of land by foreigners known as the New Foreign Investment Law (Dec. 28, 1993) and as mandated under Article 27 of the Mexican Constitution. In addition, there is formality and compliance in the development of real property. Regulatory statutes and procedures are mandated on a state-by-state basis and require a series of official approvals, permits, and authorizations, coupled with public disclosure and written notification by the governing public agency. American title Insurance is available for Mexican real estate whether acquired directly or through a trust. The cost of the insurance depends on whether the property you are purchasing is covered by a master title commitment. The best way to protect yourself is to get title insurance. Most Mexican companies don't sell it, but Houston based Stewart title Guaranty, Lawyer's Title, and Fidelity National Financial does. The insurance runs about $4 to $7 for every $1,000 of property value, versus $3 to $4 in most of the U.S. In addition to title insurance, property insurance is also available in Mexico and the rates are relatively low. One of the first things you should request when purchasing property in Mexico is a copy of the lien certificate (certificado de libertad de gravamen) on the property. It should indicate the owner of record, surface area and classification of property type, the legal description, and whether there are any liens or encumbrances filed on record against the property. The buyer can also request a certificate of no tax liability (certificado de no aduedo) from the local taxing authority. 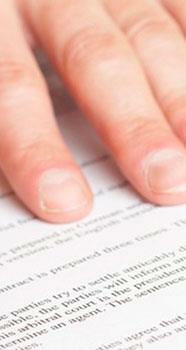 Offer and acceptance and/or promissory agreement - In accordance with Mexican Law, a letter of intent fulfills the requirements for it to be considered to be a valid contract, with the condition that there has been mutual consent on the part of both the seller to transfer a specific property and the buyer to acquire it. Title Search and Conditions of the Property - This will ensure that none of the information of the Public Registry of Property and Commerce regarding the property is overlooked. 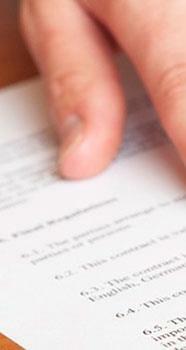 Requirements for closing and formal execution of a standard real estate Transaction in Mexico - Certificate of No-Encumbrances: This certificate will enable the Notary to assess that the property does not have any lien or encumbrance, or any claim pending over it, and thus can be transferred with a clean title. It is obtained directly at the Offices of the Public Registry of Property and Commerce and basically it must contain at least the following information: I) the number of years of documented history made on the property; II) the surface area of the property in accordance with the records; III) the metes and bounds of the property; IV) the name of the owner; V) classification of the property (urban or rural); VI) a legal description of the property (such as if it is owned in a trust or by several owners); VII) the name and signature of the registar and VIII) the official seal of the Public Registry of Property and Commerce. Certificate of No-Tax Liability: This certificate will enable the Notary Public to assess that the property tax has been paid prior to the transfer of the property. Property Appraisal and Site Survey: In accordance with the Real Estate Law ("Ley de Catastro"), it is mandatory to carry out a site survey on the property and do an official appraisal. The appraisal must be done estimating the commercial value of the property, considering its surroundings, a market survey and zoning regulations. 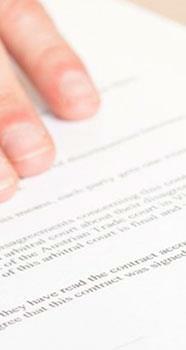 The function of the Notary Public is to act as an extension of a Judge or the Government. 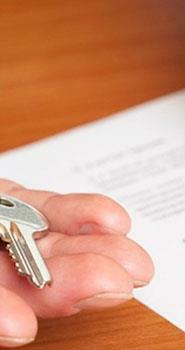 His duty is to ensure that a real estate transaction is formally executed in compliance with all legal requirements. Upon the execution of the transaction, the deed of title must be recorded at the Public Registry of Property and Commerce of the domicile in which the real estate, subject matter of the transaction, is located. A Mexican "notario" is an attorney who, after passing rigorous examinations, is commissioned by the government as a public notary. A notario holds high office for life, unless he or she is removed for cause. The notario fulfills a public function delegated by the government. Although licensed as an attorney, the notario is not in a position to provide either of the parties with legal advice. The notario's responsibilities include collecting and reviewing the sales contract, property tax and water payment receipts; ordering a bank appraisal: freezing the property's file at the local public registry (no documents may be recorded in a property's file during three consecutive thirty-day periods); reviewing the property's file to verify the legal ownership and search for liens, encumbrances or anything that could affect the title (as the majority of public registries are not automated, this procedure can take from 60 to 90 days); requesting the public registry to issue a "Certificado de Libertad de Graveneres" (Certificate of Freedom from Liens and Encumbrances); and performing the closing at this office where the notario handles the transfer of the deed, tax withholding on the underlying real estate transaction, and the recording of the documents at the public registry. A. Essential Elements: The essential elements of any purchase sale agreement: consent which is granted by the seller's agreement to transfer the real estate to the buyer, and in turn, the buyer's consent to pay a certain price; and object which is the purpose of the title transfer of the real estate on the one hand, and the payment of a certain price as consideration of the transfer. B. Validity Elements: The validity elements are: legal capacity that refers to the legal rights of the parties to enter into the contract; and legal form, which are the formalities with which a transfer complies in order to be perfected. For example, real estate transactions must be in writing, and in order for such to be binding before third parties, they must be recorded at the Public Registry of Property and Commerce. Basically, the fundamental obligations of the seller in a purchase sale agreement, are: a) to deliver the property being sold to the buyer; b) to guarantee the quality of the property; and c) to guarantee the title (with cure in case of eviction). On the other hand, the buyer's principal obligation is to comply with the payment of the price in the terms place, and form agreed in the agreement. General Purchase Sale Agreement - A purchase sale agreement occurs when one of the contracting parties obligates itself to transfer the ownership of property and the other agrees to pay a certain price in consideration of the property rights. The contract is perfected and binding between the parties as soon as the property and its price are agreed upon, even when the property has not yet materially been delivered and the price paid. All such contracts must meet specific requirements in accordance with Mexican law in order to exist and be valid. Installment Sales Agreements withholding transfer of title - In this kind of agreement, the seller reserves title of the property until full payment of the sale price is made, but the buyer may use and enjoy the real estate until full payment is made. Usually, this kind of agreement includes installment payments. There are some advantages in using this kind of agreement: First, the agreement can be recorded at the Public Registry of Property and Commerce as being enforceable and binding before third parties. Second, the seller is not able to sell the property while the purchaser is in compliance with the sales agreement, usually meaning that he is current in his payment obligations to the seller. Finally, the obligations of the parties are subject to what in Mexican Law is commonly known as "Condicion Suspensiva" (suspensive condition), which conditions the agreement to full payment of the price to the seller. Irrevocable Real Estate Trust Agreement - This is better known as a "fideicomiso" and is the most common instrument for the acquisition of real estate property within the restricted zone, usually for residential purposes. The seller, "trustor", will transfer property to a Mexican bank institution, the "trustee", by means of an irrevocable trust agreement. 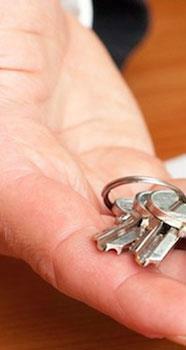 The trustee will hold the property on behalf of a designated beneficiary (usually the buyer). The bank is obligated to administer the real estate only for the benefit of the beneficiary, who holds the right of use and enjoyment of the real estate, as an owner. The bank holds title to the property but the beneficiary is entitled to use it and even sell the property held in trust to any eligible buyer, providing that he instructs the bank to do so. Real Estate Acquisition Tax (transfer tax): Individuals or companies purchasing real estate, consisting of land, or land and its improvements in Mexico, are subject to the payment of a real estate acquisition tax calculated at the rate of 2% of the value of the property (the rate may vary from state to state from 2% to 3.3%). All purchasers of real property must pay this tax whether the acquisition is carried out through a purchase and sale agreement, donation, trust, assignment, mergers of companies, split-off, or payment in kind. Mexican real estate is subject to a 20% capital gains tax on the gross proceeds from the sales without any deduction. There is another option, net basis taxation up to 35% (depends on the state and the interpretation of the notary). Under this tax plan, gain is calculated by deducting from the gross proceeds (1) the original cost of acquisition, (2) the cost of improvements, (3) notarial expenses and other costs of sale, including appraisal costs, and (4) commissions. The original cost is separated between land cost and cost of buildings, with at least 20% allocated to land. The cost of buildings and any other improvements is then decreased at 3% per year between the date of acquisition and date of sale, but the cost is not decreased below 20% of the original amount. The cost of the land is increased based on changes in the National Consumer Price Index. Your FM2 or FM3 can help you to avoid capital gains taxes when selling your property. If someone proves they were living on their property for two years in Mexico, they can avoid paying any type of capital gains. Individuals in the restricted zone, who are residents of Mexico (have an FM3), and who rent their rights in trust property (fideicomisos) must make provisional payments on their Impuesto Sobre la Renta (Tax on Rents) for income generated from cash deposits, credits, exchanges coming from rents or sub-rentals. The calculation will be based on one of two methods; one option is to pay 1% (on average, based on state) of the gross amount received during a three-month period, or you can opt to pay around 35% (on average, based on state) of your net profit. In order for any authorized expense to be deductible, the taxpayer must obtain an official invoice, which is known as a FACTURA. This receipt must be printed on the press of a government-authorized printer and will contain the RFC number (taxpayer ID number) of the individual or company issuing the receipt. Property taxes, as well as any contributions or local taxes for improvements, planning or public works expenditures. Maintenance costs that are not related to improvements or additions; water payment when not paid by the tenant who occupies the property. Interest paid for loans obtained for the purchase, construction, or improvements of the property. Employees directly employed at the rental property. Salaries, commissions and /or fees are deductible, as well as taxes and benefits paid on those salaries. Insurance premiums on the properties. Investment in construction, including additions and improvements (these expenses are amortized at the rate of 5% per year for construction and 10% for installation expenses or improvements. Mexican residents must file a declaration with authorities by the 17th of each month. An annual declaration is due no later than April 1st the following year and the difference between provisional payments made and total tax due, based upon global Mexican income, is due with the annual return. Mexico has signed a number of treaties to avoid double taxation with other countries and their benefit can be applicable depending on the type of transaction. Taxes that are paid on Mexican income are generally deductions on U.S. and Canadian income. It is wise, however, for the foreign taxpayer to check with his or her personal accountant to determine how to declare these foreign tax payments. A legal real estate contract has 5 necessary parts - Competent parties- This is usually defined as "being of legal age and sound mind." In Mexico another factor comes into play--language. A person who doesn't understand Spanish, the legal language of the country, no matter how mature or intelligent, is not competent in any practical sense. Therefore, the contract must be translated into English. Lawful Objective- This means that contracts can be voided if it is discovered that the intent has been to set up a drug business, a house of prostitution, or some other illegal operation. If one doesn't own a property, it can't be lawful to try to sell it.